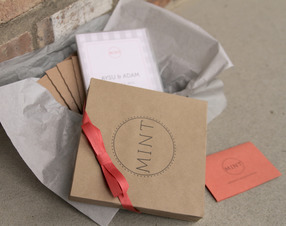 This package features a Mint team member shooting your wedding day for a total of 6 hours. We deliver the raw footage and wedding trailer for $2000 or the raw footage, trailer and feature film for $2700. This inclusive package covers up to 8 hours of the day with 3 wedding cinematographers. We deliver a 55-60 minute feature film of the wedding day and the wedding trailer posted online. We begin filming as the guests arrive and don't stop until the the bride and groom have made their exit . We use multiple portable sound recorders and boom mics to allow for high quality sound and 3 HD cameras to ensure we capture we everything. A 5-10 minute documentary charting the story of how the newlyweds met and fell in love. We shoot at a local scenic location of your choosing and feature interviews with the bride and groom and friends and family. This can either be formatted to be shown at the wedding reception, or as a unique companion to the traditional mailed invitation (the video is hosted online). This is an add-on video that can be added to any package. We set up our booth in the reception hall, bring along costumes/props and let the guests go wild for some truly hilarious moments. We cut all the best moments to a bumpin' song and deliver it with the feature/trailer. 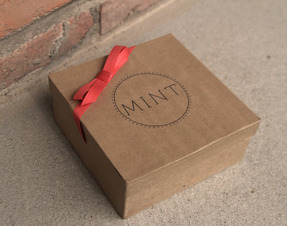 Your DVD/BLU-RAYs will arrive nestled safley in our Mint packaging! If we are not able to hand deliver the media, we will ship priority mail with tracking confirmation.